The tale about the hare and the tortoise takes me back to my father's advice. The day I got my driver's license, he sat me down and told me this Aesop fable. Mind you, I really did my best to keep a straight face and listen to the moral tale but would have been more attentive if the end saw the hare shoot himself in the head, but it was not to be. It was at that juncture that I empathised with my dad for not understanding our generation, but then again he did his best. He explained to me how traffic dictates the way we drive on the road and I need to be more attentive when driving as even someone else's mistake could cost me dearly. I nodded as he went on with his short speech and tried to adhere to some of his teachings, but sometimes, just sometimes, that foot seems to have a mind of its own when it latches onto the throttle. Now the Fiat Palio 1.6 GTX had that effect on you and finally there's another one that tickles these emotions. It's called the Abarth Punto! Launched during the festive season this year, the Abarth Punto is the hottest hatchback we have in the country (in its segment). And well, the figures on paper suggest exactly that. It is the most powerful hatchback in India and there's no taking that crown away from it soon. Yes, we've seen hot hatches in India before as there is the Volkswagen GT TSI here but the Abarth Punto is even more powerful which makes it a different beast altogether; but the exterior of the car doesn't tell you that. The overall design of the Abarth Punto remains unchanged and it's still the Punto sans the Fiat badges. However, what makes it different and tasteful, if I may say, is the special paintjob. There's the scorpion all over the car which gives it its Abarth identity and the orange decals on the sides makes this Italian beauty a bit more special. 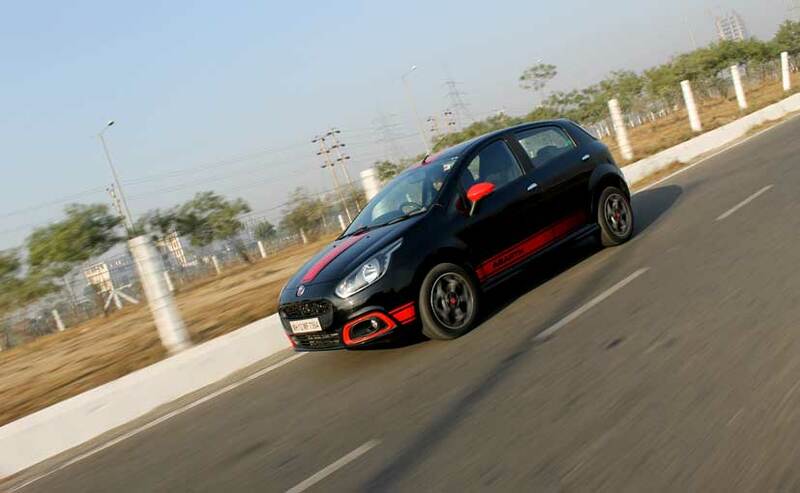 Enhancing that aggressive stance are the Abarth designed 16-inch wheels, which are an addition to its sporty looks. You'd expect Fiat to go all out and put some chrome on the car but they've kept things in check and only the door handles get a dash of it as also the front grille. The black and red add to the sportiness of the car and though it may look like it's understated, I think they've got it right because they want the engine to do all the talking. 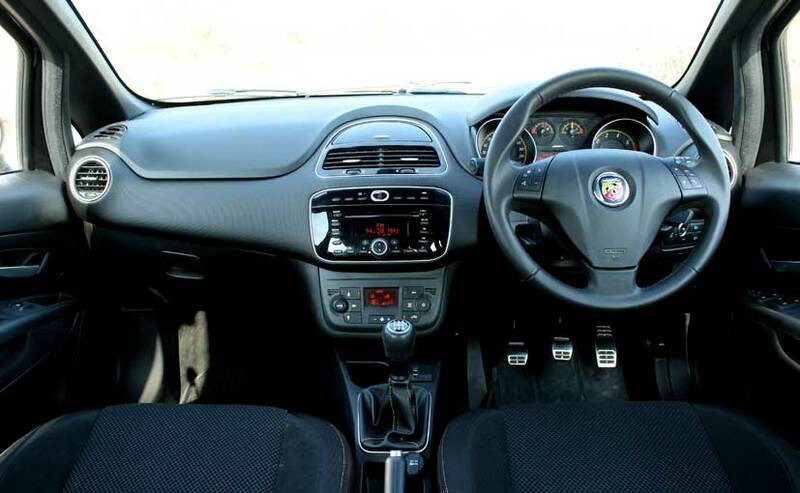 The interiors remain largely unchanged except for the sporty looking pedals and the chrome on the instrument cluster. Other than that, there is no drama inside; which takes us to the part where there is - the engine. When you get behind the wheel, you understand that the scorpion on the hood is not just a decoration. It's what adds the sting to the drivetrain and makes it the most powerful hatchback in the country. 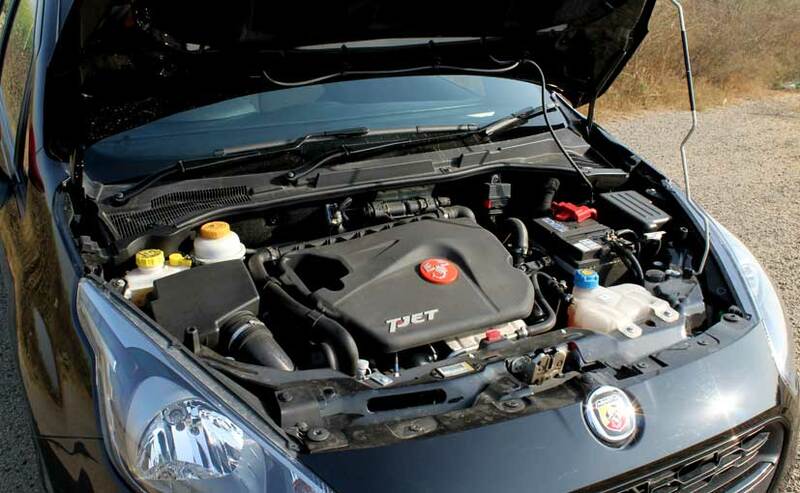 It's the same turbocharged 1386cc motor which we've seen under the hood of the Linea T-Jet and knowing how well that sedan carried it off, you'd expect nothing less from the hatchback either but this one has more power. There's 145bhp on offer and 212Nm of pulling power and that's a hell lot of power for a hatchback, which is why you're tempted to put your foot down every time you see an open road to just understand what it's like. The engine responds to your inputs and the 212Nm of torque is available from as low as 2000 rpm and it's quite a treat to just go for it. The steering doesn't have much feel but it does what you want and is precise in changing directions. It also gives you that confidence to push the car, because once you enter the three digit mark on the speedo, it doesn't flinch and readily takes your throttle input in its stride. There are times when you just slow down to create a gap between your car and the one in front of you, then downshift to give the engine a whirl and just fly past it and see it vanish in your rear view mirror seconds later. According to the folks at Fiat, the Abarth Punto can dash from 0 to 100km/h in 8.8 seconds and that just says it all, doesn't it? The Abarth Punto has been lowered by 30mm and this adds to its aerodynamics, which in turn does justice to the power it churns out. I expected the ride to be stiffer, but no; it's agile and takes the bumps on the roads with ease as also speed bumps. The belly of the car is safe and you can drive it just like its less powerful sibling. So, it's good in a straight line but what about turning into a corner? 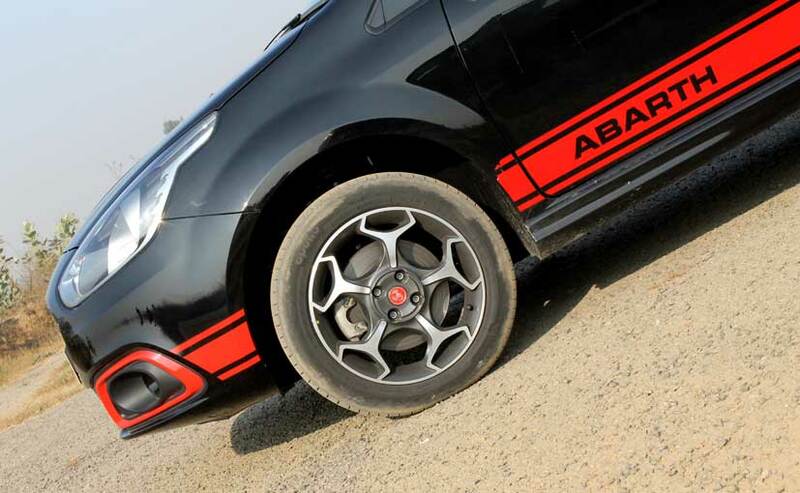 There's a bit of understeer when you go into a corner but the grip of those 16-inch wheels hold on to the road and help maintain the course of the Abarth Punto. Ofcourse, the brakes have been worked upon and the Abarth Punto comes with disc brakes on all four wheels. What we miss however, is that grunt of the engine and with such powerful cars, there's always an expectation to hear that exhaust note, but sadly at the turn of the ignition, there's nothing but the sound of a normal petrol engine. Safety features are also in place as it comes with ABS and EBD as standard and there are also dual airbags on offer. So, the Abarth Punto already has the tag of being the most powerful hatchback in its segment in the country and after being launched in the festive season, it is also the most affordable. 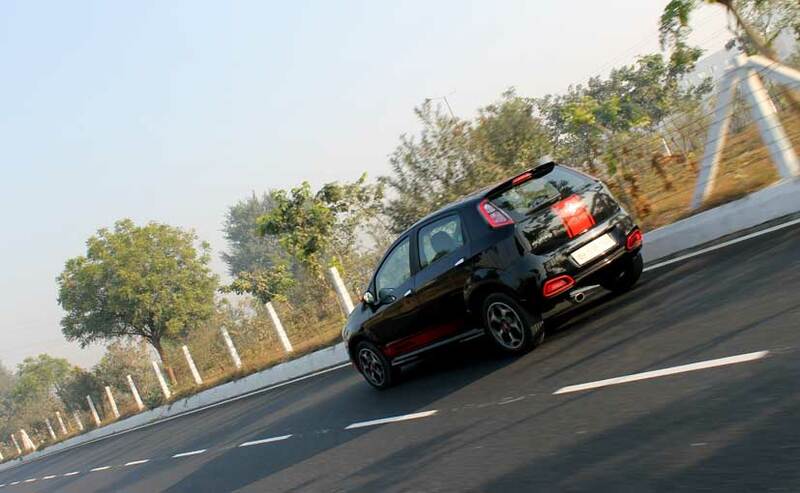 Priced just under ₹ 10 lakh, the Abarth Punto is a car that takes you by surprise and you can't help but fall in love. Remove those badges and it's still the regular hatchback which has space for 5 adults and there's a big boot to put in your luggage as well. 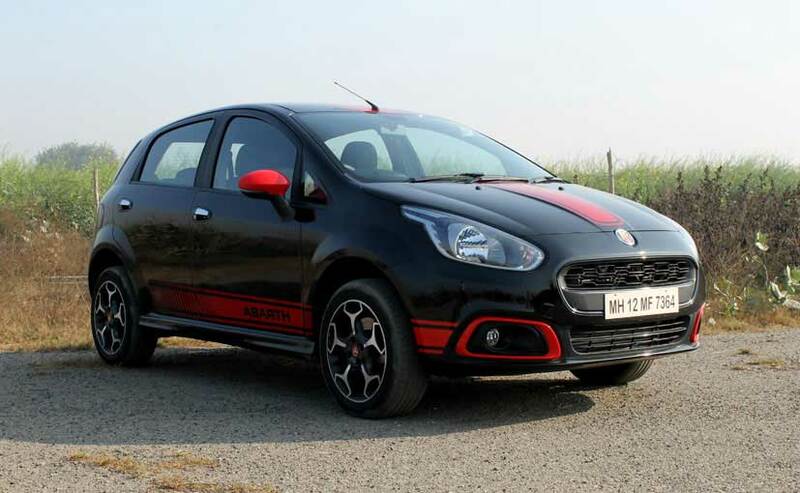 The Abarth Punto, then, is a practical car and it gives 16.3km to the litre according to the folks at ARAI, which just adds to its credentials. All in all, you have to give the devil (or in this case scorpion) its due and clearly this one isn't a forbidden fruit; it's affordable at best.